Summary. The article is devoted to the problem of corporate conflicts that arise between joint-stock company, its shareholders and managers. The reasons for identifying a corporate conflict have been analysed. The ways of prevention and solution of corporate conflicts have been proposed. Key words: corporate conflict, corporate management, conflict of interests, joint-stock company, causes of corporate conflicts. Problem statement. The issue of effective corporate governance have recently become one of the most important subjects in Ukraine. The history of corporate sector development shows that conflicts are an integral part of its functioning, and it is impossible to completely avoid them. A corporate enterprise is an intersection of interests of various social, economic and administrative subjects. The key issue in the corporate governance system is the conflict of interests that constantly arises between the owners (shareholders), the board of directors and the management of the joint stock company . That is why the problem of preventing corporate conflicts is relevant since the performance of joint stock companies depends on it. Analysis of recent research and publications. 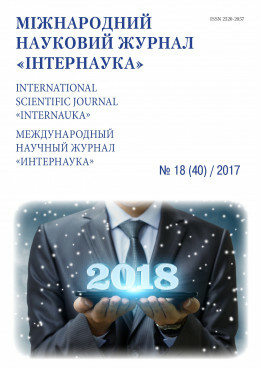 The study of scientific achievements shows that the problems of the emergence and development of corporate conflicts has attracted attention of many researchers. The papers of the following scientists have been dedicated to these problems: Danilova E., Danelian A., Bokhanova E., Kotov A., Kravchenko S., Kuzheliev M., Laptev V., Mohilevs'kyj S., Osipenko O., Poser R., Riedkin I., Stikhina A., Williamson O., Wiley D., Minza G., Coase R., Mayer C., Jensen M., Meckling W., Morck R., Shleifer A. and others. Discussion of the main material. The problem of corporate conflicts has become very urgent in Ukraine over recent years. Corporate conflicts are disputes that arise between a joint-stock company, its shareholders and managers; between outsiders with small shareholdings or debts of an enterprise and insiders (actual owners and managers); between different groups of outsiders striving to manage; between regional executive authorities and owners (or large shareholders) of the main enterprises of a region, etc. The basis of these conflicts is natural contradictions between the interests of large and small shareholders, shareholders and management as well as the struggle of investors for the control of joint stock companies . As a rule, the reasons for corporate conflicts are directly related to the following questions: who will manage a society and who owns a controlling shareholding in an enterprise. consolidation of shares aimed at the squeeze-out of small shareholders. Corporate conflicts bring the owners and the state considerable material and moral damages; these are a decrease in international ratings of Ukraine, and the reduction of production volumes, and in many cases, the bankruptcy of enterprises . a complex of anti-corruption measures. The main means that can protect a corporation from internal corporate conflicts is the need to create conditions for promotion of management policies aimed at maintaining openness to investors. Kuzhelev M. A. (2010), “Corporate conflicts: the essence, types and mechanism of protection of the interests of owners”, Economics and organization of management, issue No. 1 (7), pp. 32-40. Solianyk O. M. “Corporate conflicts as an object of management”, available at: www. essuir.sumdu.edu.ua/. Kotov A. N. and Mozgova L. A. (2015), “Corporate conflicts in the system of economic security”, The bulletin of transport and industry economics, ser. : Economy of an enterprise, No. 49, pp. 127-131. Tarasova, O. V. “Corporate conflicts as one of the problems of enterprises in Ukraine”, available at: dspace.oneu.edu.ua/.